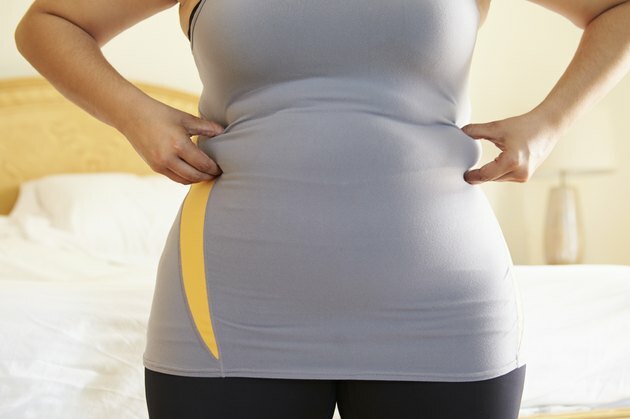 When people talk about wanting to burn belly fat, they are actually referring to two different types of fatty tissue: visceral fat (sometimes called active fat) and subcutaneous fat. Subcutaneous fat is stored directly below your skin and is the type of fat where you can “pinch an inch” from your belly, arms, thighs or just about anywhere else on your body. Visceral fat, on the other hand, is much harder to identify, as it's stored around your internal organs in your abdominal region, including your liver, pancreas and intestines. Too much visceral fat can interfere with how your liver functions and interrupt normal hormonal communications between your vital organs. This can lead to insulin resistance (the beginning of diabetes), high blood pressure, high cholesterol levels and a higher risk for developing heart disease. High visceral fat storage has also been linked to breast cancer, colorectal cancer, stroke, Alzheimer's disease and dementia. Not only that, but an larger waistline, combined with high blood pressure, high triglycerides (fat in the blood), low HDL (“good”cholesterol) and rising blood sugar characterizes Syndrome X, which starts with high visceral fat stores. But there is something you can do to stop and reverse the accumulation of this dangerous fat. Lifestyle changes including diet and exercise will help promote usage of visceral fat and lower your risk factors for developing heart disease. So how do you know if you're at risk? 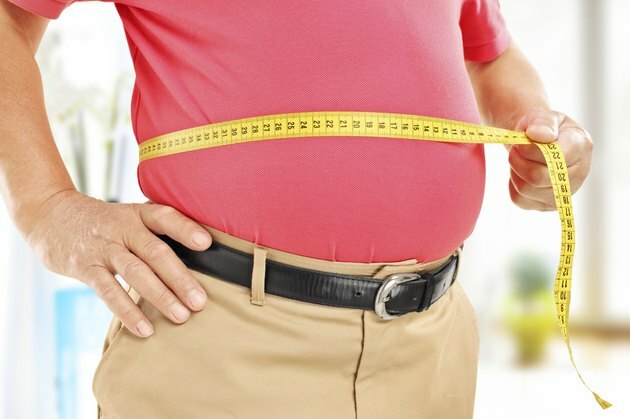 The only way to tell for sure that your problem is visceral fat is to have an MRI or CT-scan, which are expensive both and often not medically necessary. However, if you have a waistline greater than 40 inches for men and 35 inches for women, according to the Journal of the American Medical Association, that's an indicator that you are carrying too much belly fat, even if you're a relatively healthy weight and generally in good health. Work with a dietitian to design a nutrition plan for you that focuses on improving your health and helping you to lose weight. The American Diabetes Association suggests you limit your total daily fat intake to 20 to 30 percent of your total calories, keep saturated fat (animal fats, palm oils and processed snacks and desserts) to less than seven percent and try to eliminate harmful trans fats altogether. Your nutrition plan should contain lots of fresh vegetables and fruits, lean protein and complex carbohydrates such as beans, lentils and sprouted grains for energy and fiber. In addition, try cooking with olive, canola, peanut, safflower or sesame oils, as they contain monounsaturated fats, the “good fats” when used in moderation. 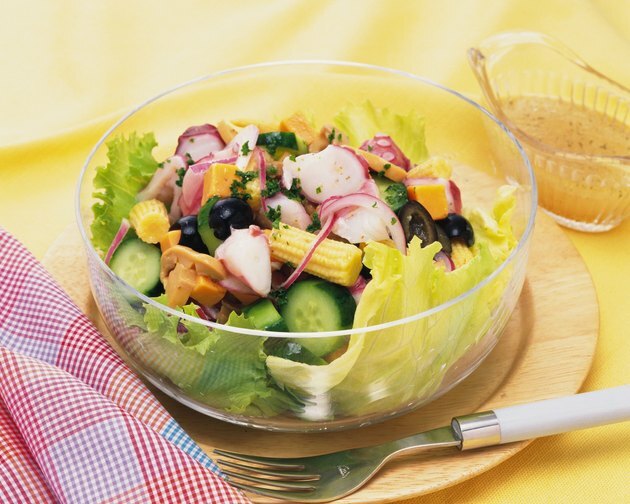 You can also try healthy vegetable oils for cooking like coconut, sunflower, olive, avocado and grapeseed oils. Try to exercise at least 30 minutes every day, which helps you burn calories. A weight loss of five to 10 percent of your total body weight can help reduce visceral fat stores. To achieve that, your daily caloric balance (calories consumed minus calories burned) needs to be negative. More specifically, in order to lose a pound a week, your calorie deficit must be 500 calories per day. That means you have to exercise. Try circuit training, brisk walking, biking or any activity that gets your heart rate up and you moving for an hour. Additionally, try incorporating some high-intensity interval training into your routine. A 2009 University of Virginia study found that this type of exercise total abdominal fat, including visceral and subcutaneous fat. Weight loss takes time. Don't expect to lose weight overnight -- you didn't gain it overnight, after all. According to the Journal of the American Medical Association, just a modest amount of weight loss will improve your visceral fat stores and other medical complications you have. Use that as motivation to stick with your eating and exercise program. Try tracking your meal and logging your progress in a journal or an app like Livestrong.com's MyPlate Calorie Tracker. You can also reach out to supportive friends or family members and ask them to help encourage you on your weight-loss journey. Studies have shown that people who have someone to be accountable to are more likely to reach their goals. In order to improve your overall health, stop smoking, drinking, being inactive and eating high-fat, processed foods. Choosing healthier lifestyle choices will improve your quality of life and will show up in inches lost as stated in the Guidelines for Overweight and Obesity. Also make sure you get plenty of sleep and take time to destress. Researchers have found that the stress hormone, cortisol, significantly increases the storage of visceral fat. So do some deep breathing or yoga or take a bath or quick walk. How to Get Rid of Belly Fat that Won't Go Away?